Every story has a beginning often driven by fate. The McKinnon Legends are no exception. It is the year of our Lord 1493, and King Henry VII has been seated on the English throne for eight years. He did not get there by chance alone. Nor has he stayed there with ease. He has his favorites, generously rewarding those who serve him well. Sir Nic McKinnon is at the top of that list. For his faithful devotion, Nic finds himself graciously rewarded. That reward is the hand in marriage to the seventh duchess of Seabridge. The only issue is Nic isn't interested in the bounty, and taking a wife is certainly not in his plans. However, he understands that seeming ungrateful to Henry for his gift or disobeying a king's command is never wise. Nic reluctantly agrees to marry. Living with his duchess was not one of Henry's stipulations. To that end, Nic's plan is to marry the young duchess and then leave her to her own designs. That is until he finds that she is in danger, so much so that she is fleeing for her very life. Nic is sworn to protect the king's subjects who cannot protect themselves, but more than that, no one threatens what belongs to a McKinnon. She belongs to him by the king's decree. The question now is not whether he marries her and leaves her behind - the question is much more clear: Can he keep her alive? The stage is set for the battle to secure Morgan's birthright: the rich and lavishly appointed Seabridge Castle. Currently the prosperous dukedom is in the hands of the lecherous Lord Brentwood, who seized control after Morgan's family was killed in a fatal fire. Nic must fight to regain what Brentwood never had the right to possess. Will he succeed? Or will true evil prevail? There can be only one victor. Spoiler. ..this two part story is an interesting, if not rather formula driven, historical romance. Time travel does not enter the story until the last 15 minutes of the book and then only briefly. 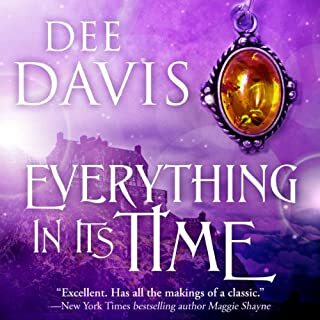 While this book may well set the stage for future time travel books in the series, it is misleading to categorize it as historic time travel. As to the story itself, it was a well written but followed the formula of too many historic romances. The beautiful female main character is controlled by the greed older male relative. She meets the dashing handsome male main character. They have misunderstandings, leading to heart ache for both until they throw their pride to the wind and admit their love. As I said pretty standard formula. I did found myself becoming increasingly annoyed with the female as she threw fits about things that were what she wanted, she just didn't make the decision herself. So immature I almost quit reading. Thankfully the second female character arrived and held my interest. Because it appears the next book in the series focuses on this second female, I will give it a try. But please no more whining females. 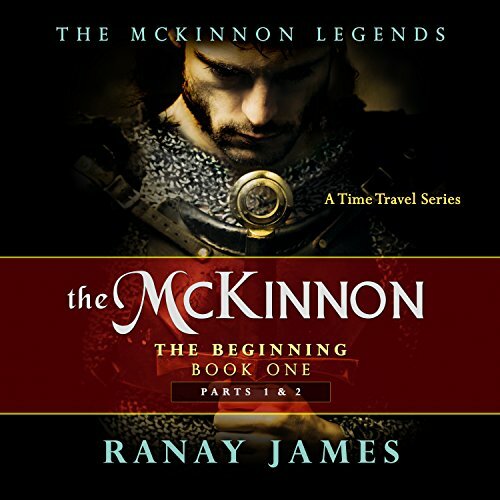 Would you consider the audio edition of The McKinnon The Beginning Book 1: Parts 1 & 2: The McKinnon Legends A Time Travel Series to be better than the print version? I really enjoyed this book, and I love series. From reading previous Amazon reviews, the audio book is clearly better than the print version. 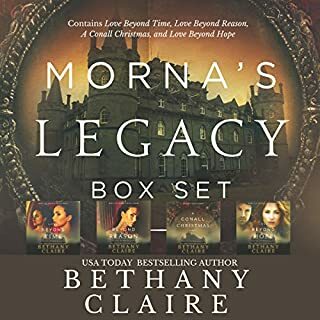 That said, I get really disappointed with Audible when the other books in the series are not available in audio format and there is no info on if they are working on the remaining books in the series or when they will be available! Very frustrating! What did you love best about The McKinnon The Beginning Book 1: Parts 1 & 2: The McKinnon Legends A Time Travel Series? 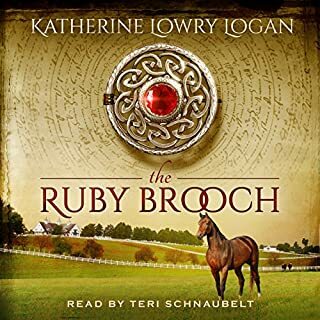 There is a great story here and enough to keep you interested and wanting more, I really enjoyed getting to know the characters in this story. If you could sum up The McKinnon The Beginning Book 1: Parts 1 & 2: The McKinnon Legends A Time Travel Series in three words, what would they be? 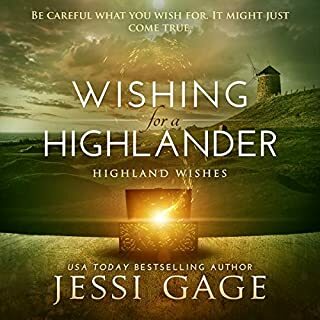 Would you listen to another book narrated by Cait Frizzell? not really, I loved the whole book. Where is the time travel in this book....Very end???? Misleadingto call it a time travel novel. Narrator, I thought, was terrible. I kept wondering which character was speaking. Really disappointed in the book. I loved it! It!s not your typical trashy romance novel. Very tastefully written (without losing any of the romance). I could literally see each character and location. Can't wait to get the next book! it's a little predictable but a good yarn all the same....I enjoyed it and will buy the rest.